Sweet, salty, cheesy, caramelized, or just plain and puffed, freshly popped popcorn is the ultimate snack food. The whole grain is high in fiber and antioxidants like polyphenols, according to a study by the University of Scranton. It's also gluten-free and vegan-friendly—if you’re mindful of the flavorings—and very portable. Keeping popped popcorn fresh, however, takes some know-how: it's all about keeping the moisture level stable, from how you store it, down to the ingredients you infuse it with, so it stays crunchy and fluffy whenever you reach for it. Whether it’s microwave popcorn or dried corn kernels, keeping it stored at room temperature is crucial to retain its freshness. 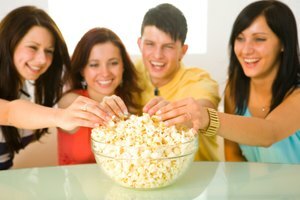 According to popcorn.com, a non-profit organization funded by the U.S. popcorn processors, dried corn kernels have a 16 to 20 percent moisture level, and the water within the kernel, when heated, is what causes it to expand and transition from corn to popcorn. 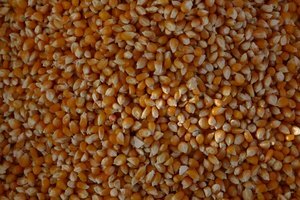 To ensure the kernel doesn’t dry up, store it in an airtight container, or in properly-sealed microwave ready bags, at room temperature, preferably out of direct sunlight. While a zipped bag makes for a convenient solution, a better and more eco-friendly option is to use a glass or BPA-free container with a tightly sealed lid to ensure moisture levels are regulated. Additionally, applying a layer of plastic wrap over the top, prior to securing the lid, will further lock in its freshness. Half the fun of popcorn is experimenting with the different flavors — in fact, here's a recipe for a vegan cheese version—and seasoning combinations like turmeric. 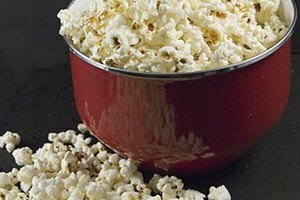 However, if you’re planning on making a big batch and putting it aside, it’s best to keep the popcorn free of any liquid flavorings or salt, as these will affect its shelf life and texture. To pre-make a batch of fluffy and crunchy popcorn to be stored, use salt-free seasonings like paprika, nutritional yeast, or oregano. Believe it or not, like vodka, popcorn doesn’t freeze. And while it may sound like an odd tip, regulating moisture levels is what keeps popped popcorn fresh and edible three months on. If the air is too dry, it’ll become brittle, if the air is too moist, it takes on a tough, cardboard-like texture. 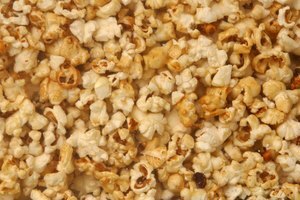 To extend popped popcorn's shelf life, store it in the freezer using an air-tight container. 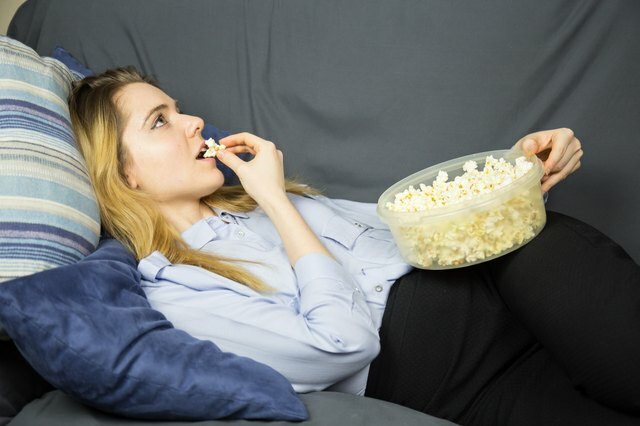 When the snack craving hits, just take it out and start munching. Pro tip: Do check that the popped popcorn has cooled to room temperature before putting it away, because—you guessed it—moisture. Now, you have no excuse to snack on stale popcorn, cause really, who has time for that. Charlene is a Singapore-based freelance writer who loves a good flat white and yin yoga session. When she’s not based in the +65, she’s usually off in pursuit of the world’s best beach. Visit her website at www.charlenefang.co. At What Temperature Does Popcorn Pop? How Much Popcorn Does a Tablespoon of Kernels Make?